With funds from the Massachusetts Department of Public Health – Bureau of Substance Addiction Services (MDPH-BSAS), the Black Addiction Counselor Education Program (BACE) is established to train Black people in the area of addiction /mental health treatment, while creating access to addiction treatment credentials: Licensure and Certification. 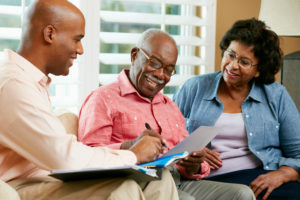 Moreover, by providing technical assistance, capacity building, and support to MDPH-BSAS funded organizations, this program will increase the publicly funded treatment system’s capacity to provide culturally competent services to Black populations, thereby addressing health disparities and their impact on Blacks in the Commonwealth. If you are interested in applying for a future program: Visit the BACE Application page to apply now for the waitlist for consideration for the next enrollment period. Watch this website for updates, or contact Della Blake, M.Ed. at drblake@bace-aei.org with questions. 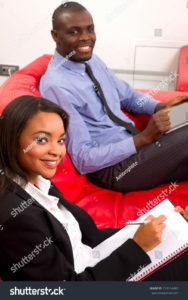 The goal of the Black Addiction Counselor Education program is to increase the number of Blacks with addiction treatment credentials; to increase the Black community’s access to culturally competent care; and to increase the capacity of the publicly funded system to serve Blacks while improving treatment outcomes. The classes are co-facilitated by Master’s or Ph.D. level and addiction credentialed Black professionals with many years of clinical experience and training delivery. Training incorporates the blended model of a computer technology component and in-classroom training utilizing the theoretical frameworks of Social Justice, Culturally Responsible Pedagogies throughout the program. The Training Curriculum has been developed to meet the requirements set forth by the MDPH-BSAS for Licensed Drug and Alcohol Counselors (LADC I, II, and III) and the Massachusetts Board for Voluntary Certification towards becoming a Certified Alcohol and Drug Abuse Counselor (CADC) at the reciprocal level. To this end, participants can receive up to a total of three-hundred (300) hours of participatory classroom instruction along with reading and written assignments, which is divided in the following manner. Boston – New Location! In the fall of 2019, a Boston class will meet at times and venue to be determined. Keep checking this page for further Boston information! Springfield: The Springfield class will meet at Springfield College onWednesday evenings from 5:00 p.m. – 9:15 p.m. and on the 2nd Saturday of each month from approximately 8:00 a.m. – 5:00 p.m. In addition to the in-classroom experience, the training component requires participants that are not currently working in the field do an internship for a minimum of 4.5 hours per week at an MDPH-BSAS funded agency that provides substance use treatment services. The internship site will expose intern(s) to at least one Black clients with substance use disorders in individual or group counseling where applicable. Furthermore, agencies with interns are responsible for providing clinical supervision at least once a week to the intern(s) for the duration of the internship. The purpose of this requirement is to help participants to integrate classroom knowledge with hands-on experience. The internship hours can also be used towards the practical work experience requirement for Licensure and Certification in Massachusetts. Participants will be directed to workforce development resources. If accepted, a non-refundable seed commitment fee of $250 will be due by the first class. Click here to apply for the Black Counselor Education Program.